We think that poncho is one of the most warm and comfortable clothing, so in this frosty winter that what we need. 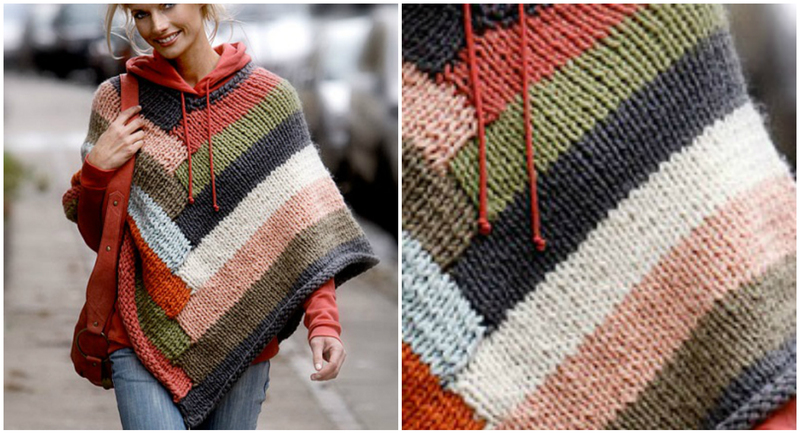 We found for you great design of poncho and want to show you how to knit. Colorful poncho that you can see on these pictures may become your favorite and you should try if you have some free time and necessary supplies like yarn and etc. Choose the colors as you like and if you can improvise make some changes in design. We hope you will enjoy the post and will make another useful clothing for your everyday life.